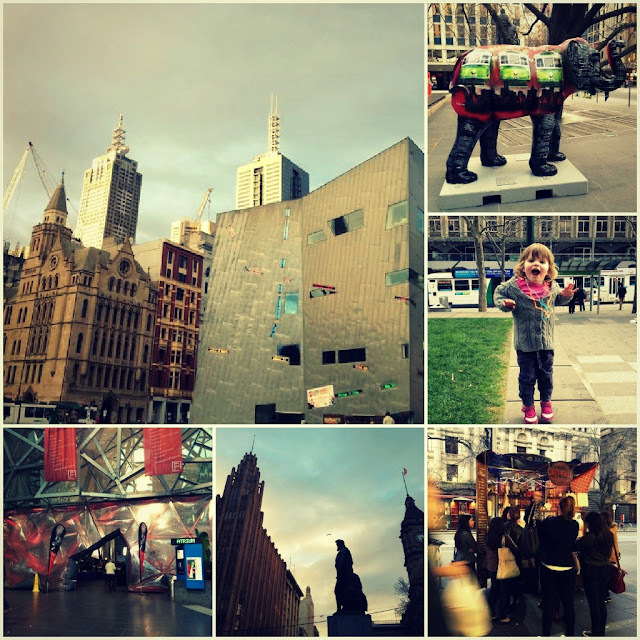 I'm pretty happy to live in Melbourne and I love going into town to get my city-fix. I don't get in there as often as I like but it means that when I do I feel even luckier to live in a place that's got so many great restaurants, awesome festivals and events, excellent coffee and sweet treats, wonderful art galleries, great alternative shopping and is just so freaking cool. I've travelled to a few cities around the world which I adore (NYC, will you wait for me? I'll be back!) but honestly, there's no place like home.